You are going to Watch One Piece Episode 254 English dubbed online free episodes with HQ / high quality. Stream Anime One Piece Episode 254 Online English dub The Shout of Nami’s Soul! The Return of the Straw Hat! 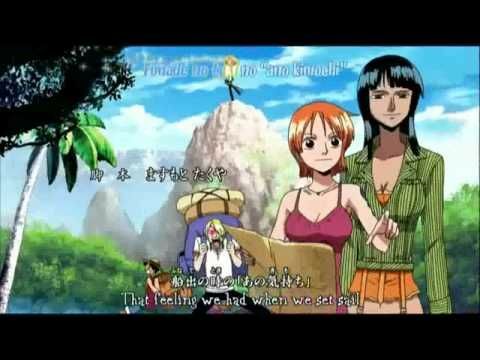 Nami finally reaches Luffy and tells him that he needs to hurry before Robin reaches Enies Lobby. Chopper finds Zoro and hands him the Sandai Kitetsu so he can escape the chimney. Luffy pushes apart the buildings he was stuck between and Paulie grabs them all so they can escape the Aqua Laguna’s massive wave. 4.5 / 5 - 67 ratings.